Kathy Emerick's skills as a listener, communicator and negotiator have won praise and loyalty from a broad base of clients with varying needs since beginning her career in 1978. Her skills and talents are reflected in the continuing support of buyers, sellers and referrals that create her consistent multi-million dollar volume in sales and listings sold. Her insightful attention to and analysis of market trends highlight her professional commitment. She holds GRI, CRS, SRES, ePRO and ABR designations. Kathy served as 2002 President of the North Central Washington Association of Realtors and was honored as 2002 Realtor of the Year. In 2007, Kathy was awarded the Realtor Hall of Fame award for the North Central Washington Association of Realtors. She values her reputation for tenacity, proficiency, service and good humor. 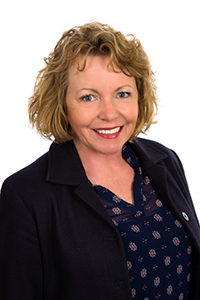 Perceptive, intuitive, energetic, knowledgeable and fun; Kathy's clients describe the professionalism they appreciate in choosing her as their broker and advocate in their important transactions. Kathy currently serves on the Board of Directors for the local YMCA and has since 2011. The organization's focus is upon providing positive programming to youth, regardless of their ability to pay. She has participated as a fundraiser for the Partners with Youth scholarship program since 2002, and is co chair for the campaign for 2018. She also served on the board of directors of Children's Home Society, advocating as a voice for children, from 2013 to 2017.